Snow crabs play an important role in Nova Scotia’s ecosystems. But traditional tagging methods for these mobile undersea animals relied on static receivers on the ocean floor, and weren't always effective. 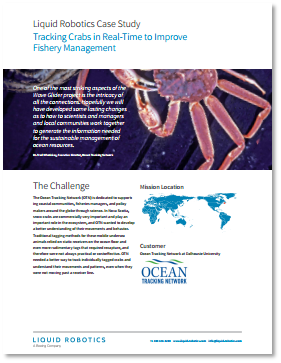 The Ocean Tracking Network (OTN) needed a better way to track individually tagged crabs and understand their movements and patterns, even when they were not moving past a receiver line.